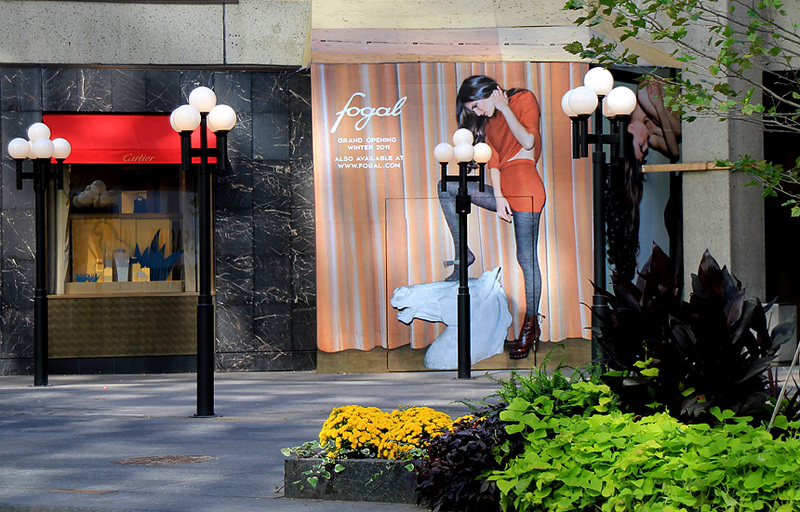 What is Customer Service Like at Fogal Hosiery in Vancouver? Yesterday was a bit of a frustrating experience for me. You see, I never actually owned a pair of Fogal hosiery. I decided to send my guy to buy me some from the local Fogal boutique that recently opened in Vancouver. He went there, but returned empty-handed. “I didn’t get any customer service”, he said. Turned out that when he came to the store, there was only one person working (the manager) and she was talking to a female customer. He picked out something that he liked from the sample display and asked the manager three times for that specific item in size Medium. All that needed to be done was to run the purchase through the cash register, that’s it! After being in that store for some time (15 minutes according to his estimation), he walked out. I was surprised, last time I was there I got really good service. So I picked up the phone and called up the boutique. The explanation I got was that the staff is trained to stay with the customer that they started working with until the end. She explained that the other customer seemed to be very needy and required assistance. That’s why the manager could not interrupt her conversation with the other customer and go to the cash register to process a sale. I agree to an extent here, but if you are the only staff in the store, sometimes you need to multi-task. She was polite and of course she apoligized, but there was no offer extended to compensate for that unfortunate experience. I wonder if his gender made any difference. Could it be different if it would be a woman coming in to make a purchase? I find that sometimes in high end stores staff only watch out for their “target market”. They may not even greet a customer if for some reason they don’t think that this person is going to buy much because of their youth or simple clothing. I really hope that’s not the case since my first experience with Fogal was quite positive. I am sad that it didn’t work out. Maybe some day I’ll order it online or buy it in Toronto’s store. This time, instead of Fogal, I went to the Wolford boutique that is literally across the corner from them and purchased another pair of Neon 40 in Cosmetic shade (skin tone). You see, my guy was too upset to go back to the Fogal store. I am still open-minded about the Fogal brand and I judge people favourable. At least for now I prefer to think that it was simply inexperience of the staff person to multi-task while working alone with multiple clients. Note Added Later: I heard from some of my fans that they went to Fogal and got good customer service. So maybe it was just a day of bad luck. I would also like to say that I had AMAZING customer service at Fogal in Toronto. What is customer service like at Fogal for you? Would love to hear.